When people move to rural areas, they want a good view. But what happens when their view gets blocked by a new development? Does the aggrieved property owner get compensated for the loss of the view? Not in this case. 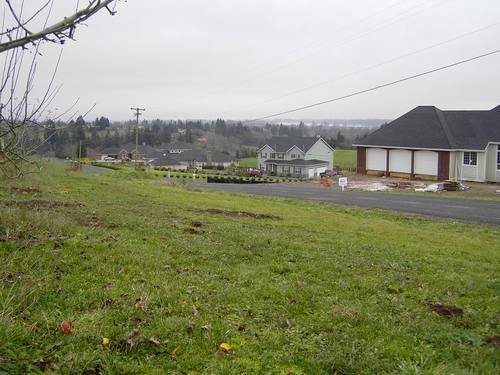 This development in Clark County, WA is about 10 miles outside Vancouver, WA's urban growth boundry. 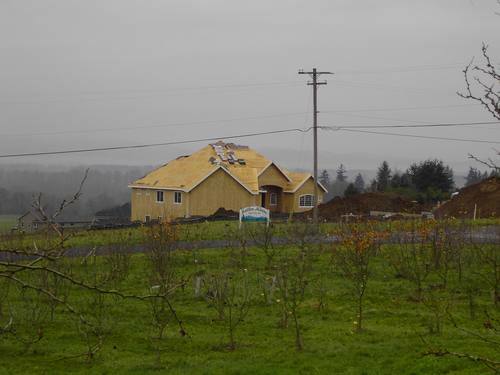 The landowner got approval for subdividing his land just before the state introduced stricter landuse laws that resemble Oregon's laws pre-measure 37. The land in this picture was considered some of the most fertile farmland in the country. Development on rural lands is costly for taxpayers. 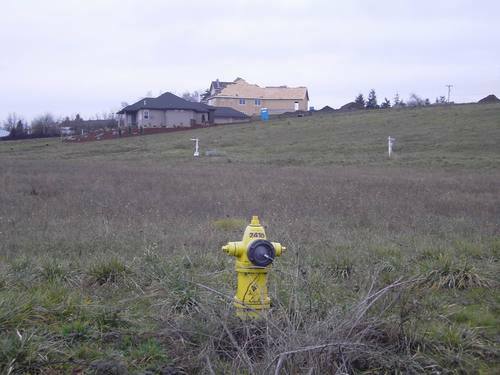 In this case public water lines had to be laid down over five miles to reach this subdivision of just over 30 one acre lots. The roads leading to this area had to be widened two feet.